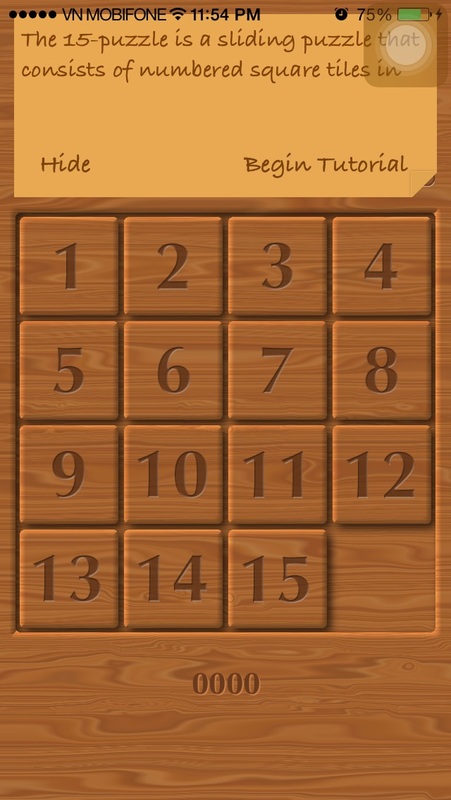 The 15-puzzle is a sliding puzzle that consists of numbered square tiles in random order with one tile missing. 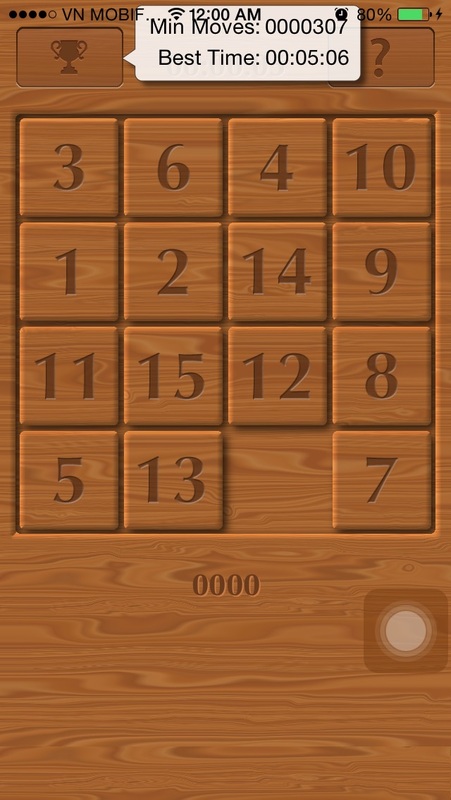 It's also called Gem Puzzle, Boss Puzzle, Game of Fifteen, Mystic Square. 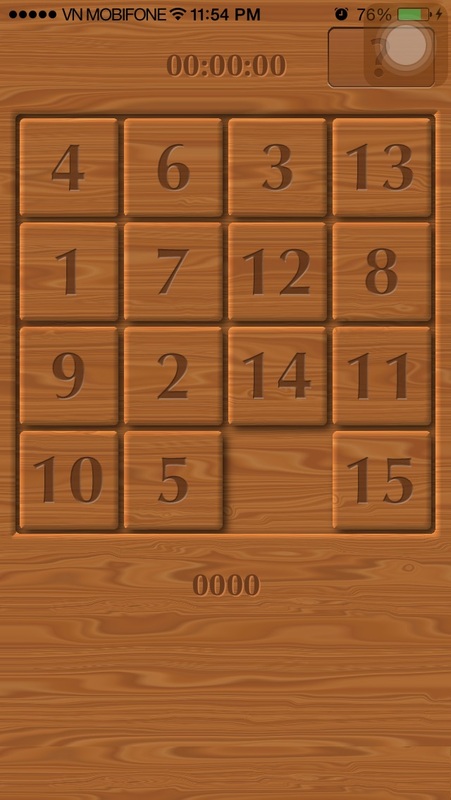 Objective - The object is to place the tiles in order by making sliding moves using the empty space. Lets try this... 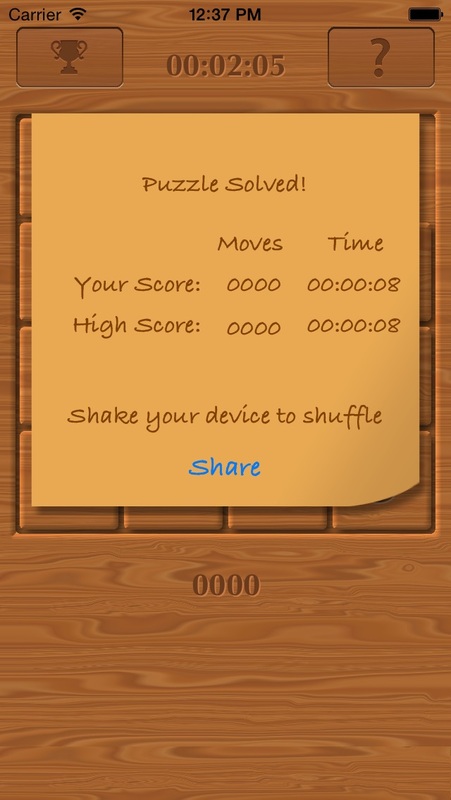 Shake your device to shuffle and start playing. Lots of fun-- surprisingly addictive! Love the graphics and the presentation! Wooden theme is cool!